Continuing our Big Ten recruiting feature this summer, I took a look at some of Ohio State’s recent additions, current recruits, and potential recruiting targets. To see the first two parts of the feature, highlighting Minnesota and Wisconsin, click here. OSU, as well as Penn State, who I’ll highlight next, each added forwards who dominated high school level competition this year and could be nice college players in a few years. The Buckeyes added Miguel Fidler out of Edina, their second get from the legendary Hornets program after recruiting co-captain Tyler Nanne earlier this year. Both were both up for the draft this year and garnered back-to-back selections in the 5th round, with Nanne going to the New York Rangers and Fidler seeing a selection from the Florida Panthers, who have a heavily stocked pipeline of NCAA prospects. USHLer Dakota Joshua – the third player the Buckeyes committed in 2014 who saw a draft selection within six months – was taken earlier in the fifth, by Toronto. At the risk of sounding like a broken record, credit where credit is due: it’s really been a 180 for Ohio State recruiting since a year ago, when they were feeling the losses of Tyler Sheehy, Jack Dougherty and a number of others. In a recruiting environment where commitments are coming younger and younger, Ohio State salvaged some future classes that should have been a disaster into a pretty solid group. As the famous Bill Parcells quote goes “You are what your record says you are,” and from a standpoint of bringing in recruits with a good pro ceiling a few years away (so that they won’t lose them soon), the Buckeyes ‘record’ looks real good as of late. That should translate to a few more wins in an intensely competitive conference over the next few years. Inversely, the now-future Gopher, Sheehy, wasn’t even drafted, so it played out fairly well for the Buckeyes, but that likely means Sheehy spends four years in Dinkytown and the Big Ten, which would sting any way you look at it. It actually looks even better down the line, though. Since that summer of lost recruits the Buckeyes have lined up a real nice stable of prospects. Tanner Laczynski, Sam McCormick and Jason Dhooghe are all Wisconsin/Chicago-area prospects who should be terrific college players. Laczynski was one of the better forwards in the HPHL U16 – a strong circuit – he has great hands that are very effective and is intuitive around the zone, slips his man and finds his way to scoring areas. He should be a producer before long. McCormick is an intuitive scorer like Laczyski who can wheel up the ice and make decisive offensive plays. He is a natural finisher who finds a way to play very alert, aware and unselfish hockey. Dhooghe is a product of the Mission program, a smooth skater who is both quick and fast with separation-quality pull away. He can slow it down with the puck and make plays, off the puck he’s not afraid to throw what weight he has (5’7) around on the walls. He too should contribute to an interesting dynamic up front. On the back-end, Gordi Myer (Cleveland Jr. Barons) and Mike Davies (St. Louis AAA Blues) are recent gets that should be on campus before too long. Myer is a good look not just for his solid size at 6’0, and faculties on the ice, but also as he is an in-state AAA hockey product. Davies especially is a highly competent defenseman at 5’8 or so who does real well on the puck, played up at 18 hockey this year for a good St. Louis program. He should step in with the USHL’s Dubuque Fighting Saints as a 97 this year and do well before making his way to Ohio State. The laying of the ground a ways out for the Buckeyes has a great start as well in the brother of Jason, Sean Dhooghe, one of America’s top 1999-born forwards and a player who should definitely be in the NTDP mix come March. Dhooghe, at 5’3-5’4 – and most likely staying somewhere between that height and 5’7-5’8 – is going to be smaller in college yet still projects as a key contributor in Division 1. We’ve highlighted Dhooghe plenty on the site but his key traits are situational awareness, elite speed, vision and playmaking ability. He doesn’t shy away from the rough stuff and regularly wins his battles against some of the best in the country. Dhooghe is a terrific start for a 2017 class, and he helps to give the Buckeyes an early step-up in that race without recruiting someone who could be a really questionable look at a young age. OSU have a large-in-number group coming to campus over the next three years – about fifteen guys committed already – and the graduation numbers don’t seem favorable for so much more space to open up, but there may be a few spots left to recruit for. A lot of players will graduate in 2015, but the Buckeyes have quite a few potential options committed for that year and there aren’t a ton of key prospects left to pick up for that year as of right now. It should be noted that I have no knowledge of whether Ohio State are actually recruiting any of these players, but all seem like logical targets based on publicly available recruiting information. At forward, if the Buckeyes are looking for someone that could be really high-end, Walker Duehr and Tage Thompson are both late-1997 forwards who could be on track for anywhere from 2015 to 2017 – highly dependent on their respective developments over the next year. Josh Dunne especially is a skater we can’t see the Big Ten looking off, an athletic, 6’1 forward from St. Louis. The coaches and the medical officers in the team recommend strongly that the team members take detoxic in order to stay healthy. The parasites in the intestines contribute greatly to the increase the weight of the team members because it is important that the players maintain their form to be able to bring in laurels for the team. For more information log on to https://szepseg-egeszseg.com/detoxic/ . With a late 1998 birthdate and a frame to grow into as well as a game that should translate well to college hockey (potentially even the pro ranks), Dunne would be a nice addition to a group of 2017 or 2018 forwards with excellent puck skill and pace. He played in the same STL program as aforementioned star defense recruit Davies, and that program has produced some serious Big Ten-bound talent as of late. Just getting another foot in the door with a program producing the quality of players that STL have been would make this a clever look by the Buckeyes. STL Teammate Zach Solow is a forward with a physical side and scoring ability that, if he emerges as a consistent offensive threat this year, would be a player worth keeping an eye on for similar reasons. He would bring a nice compliment of physicality and offensive prowess that the Buckeyes 2016/2017 group doesn’t have in spades yet. Duehr is a South Dakota native out of CYA’s 16s this past season who sounds like he will be in the USHL this winter with Sioux City. He’s not got the body control or playmaking upside of Dunne or Thompson, who I haven’t gotten to yet, but Duehr could add a power game to the offense with real speed and intensity. He’s really come on this season as he put weight on a 6’2 frame and could catch a lot of recruitment heat in the USHL. Thompson is a 6’2 center who has been injured for good parts of the past three seasons, so he has a ton of development ahead of him and recently made some noise when it was announced he would join the National Program’s U18 team instead of Salisbury School this fall. It could be a bit of a reach to pick up Thompson, as he’s a player who makes his home out east now but originally was from Alaska, so really has no ties to the mid-west until he moves to Ann Arbor this winter. What Thompson would bring is size and scoring ability down the middle of the ice, something that is certainly a template for a lot of successful teams and a trend reflected in the Buckeyes recruits – the aforementioned Dakota Joshua is a 6’2 center, and Alberta league recruit Tyler Busch is a 6’2 center as well who looks to have his best hockey ahead of him. I doubt the Buckeyes would dislike having an Ohio State recruit coming out of the Development Program again either. On defense, another St. Louis name stands out: 97 D Joey Matthews. That fit might be temperamental as the Buckeyes will have an active, offensively capable defenseman from St. Louis in Mike Davies already as a 1997, but Matthews would likely be for a bit further out – maybe 2017 or 2018. He’s got great speed and a big time shot at the blue line. Looking at another program that the Buckeyes have tapped, Chicago Mission 98s Alec Semandel and Brett Callahan are two of the safer variety who make sound plays on both sides of the blue and could be real steady collegiate players. Semandel is 6’3 and plays a strong defensive game, while Callahan is smaller, probably a little bit more confident on the puck. Callahan played for the Mission’s 18s this year as a late-1998 against much older competition and didn’t look out of place at all. Semandel was probably defending against a higher skill level shift-to-shift at the U16 level and seems a lot more projectable when you factor in the size. For the 1999s, continuing the idea of looking at recent recruiting grounds, I’ll highlight someone from three recruiting grounds they’ve looked to lately. Edina, for one, have a wealth of 1999-born talent. Shattuck-St. Mary’s star forward Grant Mismash is a Hornet by birth, our top uncommitted 99-born forward (4th overall) and could be a terrific fit in Columbus. He and Dhooghe would be a really high-powered start to the offense in three years. Mismash brings serious speed and a power game with no lack of skill or scoring ability. Potential future Edina high schooler Ben Copeland would bring speed and skill up front as well. Copeland especially could compliment Dhooghe’s game very well. Out of St. Louis, Brady Tkachuk could be a reach with brother Matt already committed to Notre Dame, and father Keith being a one-and-done star at BU, but that would be another seriously talented addition to the offense. From the Mission, forward Cole Coskey has killed it over the course of the year. He’s got a great build already at 6’1 and a knack for scoring goals all sorts of ways – he pays the price for his real estate in the offensive zone and could be one of the top American forwards out of this age group when all is said and done. We continue our scouting coverage of the Upper Midwest High School Elite League, here. This report again features contributions from the newest OTB contributor, Gunnar Olson, in addition to myself. We’ll start covering the regular MN-HS circuit, as well as some other tiers and levels of play, such as U16 and U18 AAA, as well as a few other junior circuits, and New England Prep School league play, after we feel we’ve hit most of the UMHSEL bases. All commitment information is as of 10/18/2012, and should definitely be confirmed elsewhere. If we have the incorrect college commitment status for a prospect, please e-mail us at sources@overtheboards.net. The second-leading scorer on the prep team as a junior, Becker’s offensive instincts are evident every time he touches the puck. He’s got a great feel for how the defense reacts to his every move and takes advantage of their willingness to step to him to set up his teammates. The Orange, CA native stands at 5’10, 180, and jumps around the ice like a fireball. It’s really, really tough to find a part of Vesel’s game not to like. He’s not absolutely outstanding in any thing, but he can score (leads the prep team), he competes well in his own zone, and he has a good stick. His speed isn’t top-end, but he’s far from slow, and if he can fill out his 5’11 frame any more and adds some grit to his game, he’ll be an even hotter prospect. Last year’s State Champion squad returns Grant Besse (Wisco), Dan Labosky (Colorado College) and TJ Moore: the uncommitted leading scorer of the UMHSEL. The 5’7 forward is currently on a goal-per-game clip through 18 games (17 goals), with 12 assists to match that. A trend we’re gonna continue to see here are the smaller guys who will always have size on the ‘con’ side of the pro/con list, but I will take a small guy who battles, scoots, and has a scoring touch like Moore’s over a 6’3 forward who can’t make a decent play through the neutral zone ten times out of ten. For a kid that stands at 5’7, he’s about as physical as he can get, and has a great head for the puck. He kicks off the rush well, and his puck distribution abilities in the offensive zone are as good as anyone in the league. His size might be a real roadblock in finding a college hockey home, but whoever takes the chance on him will really reap the benefits. Peterson is a kid with serious size that can skate. He’s tough and strong at the puck standing at 6’2 and nearly 200 lbs. He doesn’t always make an impact when he’s on the ice, but when he does, it’s tough to miss. He projects to be a serious top-six forward in college if he can put it all together this year. I’d be surprised if he spent a senior year in MNHS hockey, but pleasantly so. NEW HOPE ICE ARENA – We made the early morning wheel up to New Hope, MN, this Saturday morning and left well after sunset with a lot to re-consider from our last viewings of most of these players. As with any large group of prospects, developmental curves tend to tilt every which way when you give them a good set of months without a viewing, and we came away very impressed with the Elite League. Considering (at least, by our count) over 25 of MN-HS’ best have already departed for other routes, including the USHL, NAHL and the respective AAA circuits in this off-season alone, the forwards and defensive crop were very strong. Here’s who caught our eye up front – we’ll have the defense and goalies later this week. Spinner was a deceptively effective presence in the Elite League this time last year, seeming to switch from a gritty, energy role to a more patient, cerebral, offensive role at times. Even then, his play seemed to be a shade one-dimensional. He really forced us to pay attention during sectional playoffs towards the end of the 12-13 season and was a constant impact in the action shift-to-shift, and that’s when he really grew on us. Here (at 9 in the morning no less), Spinner blew us away. He now looks as though he processes the game at a greater level, and at a higher speed, growing into a multi-dimensional scorer who can deliver a big hit and out-race most of the other team to the puck as well. Continues to add skill and refine his scoring touch, pushes the tempo with his ability to scoot down the ice and make plays at great speed. We expected Malmquist to take number one here, but between Spinner and Malmquist it was very tight. The fact is Spinner could do no wrong here and Malmquist spent more time lowering himself into after-the-whistle antics than scoring goals, and ended up taking four penalties on the day. With that, we felt one prospect added a lot to their game, and one introduced an aspect that we simply don’t think helps him. It’s a fine line between the hard-nosed, high energy, physical but still guided by sky-high hockey IQ game that Malmquist showcased at the end of last season and what he did here. While Malmquist’s game has gotten flashier (and better), he just isn’t as effective when other players are making it their job to annoy him, and that was a downside. One scout noted “the puck just seems to follow him around”, and we’d agree, but it doesn’t hurt that Malmquist flies in and out-skates most of the competition, out-working defenders in the hard zones and simply getting it done. He can’t do that from the box, and with Connor Hurley gone this season you can bet this isn’t the last time someone will be making it their game to knock Malmquist off of his. A hard-working forward with great puck distributions. Malmquist just exudes hockey sense and doesn’t telegraph a thing. At times, he skates around the ice in an unassuming manner, but even then he quietly dominates the whole sheet. Tweten is looking a lot like “the next one” in MN-HS, though we’re probably the last ones to this party. The already huge skater is coordinated and plays a skilled power forward-type game with an excess of talent and craftiness. Tweten consistently makes plays, be it from disrupting the break-out on an aggressive forecheck to advancing the play with a simple but necessary pass on the tape. Back-checks hard, his long reach and footspeed are enough to get back and break up the play before it becomes a threat. Only going to get better and is smart enough to really adapt his game to what is going to work for him. Sheehy, too, showed us a different game than we were used to. While before we loved that Sheehy was capable of single-handedly willing Burnsville to success on the ice, Sheehy just didn’t need to do that here. He reined in himself just enough to become a very effective forward plugging away on the offense. He showed scouts that the fire is still there when an opportunity arose, but was content to position himself cleverly and generate chances. The former Ohio State commit is a player indeed. Freytag is a well-rounded offensive threat who is constantly in the mix. He’s got the build to take a beating driving the net but his heavy shot, uncanny understanding of where to position himself and when to release make us think he projects more like a sniper than a power forward. It’s no wonder Freytag threw twenty-two darts into the twine this season – the Trojan can really lean into a shot and keep goalies guessing. Creeps up into the play – before you know it, he’s in scoring position. Deft, poised passer as well. Player comparison would be a smaller version of former Michigan Wolverine (and current Montreal Canadien) Max Pacioretty. When we put Zimmer at the #29 slot on our Select 70 uncommitted list last season, we wrote “high-end forward will shoot up these rankings as he continues to make a name for himself in MN-HS. Smooth, fluid skater is clever and knows how to get a goalie to bite first,” and he made us feel very good about that today, picking up three goals and an assist in his first two games in the Elite League. As a sophomore, Max is going to make the Zimmer-Freytag tandem one of the best one-two scoring punches in high school hockey. Just a sharp player in every aspect of the game. Hard-nosed pivot has a lot of skill and character. His game projects extremely well as Bethune is a dynamic, strong skater who always seems alert and engaged with the play. Drives the net with intent and is a terrific puck distributor as well. Honestly, Bethune has a ton of potential and could end up the best player out of this whole group. He’s ranked ‘low’ here because he took a hard spill into the net in the morning and didn’t take part in the evening’s games, so he’s got one less game’s worth of viewings going for him than the rest of the group here. Loves to prop himself right on the crease and is remarkably effective there, giving even the more competent defenders nightmares and keeping everyone honest down low. Looks to have maybe gotten used to his body a bit faster than his peers but has an undeniable knack for capitalizing around the net with great hands in tight and great hockey sense. When Long can get loose around the crease, it’s not a question of if he’ll score – just when. Graaskamp is a big, high-end forward but he looks to be a ways away from the player he’s going to be and that raw ability makes him a tough player to gauge. The physical tools are all there, and Graaskamp is coming into his frame, but if he really turns the corner we think he might, he’s going to be a lot more than a good college player. Wiry, explosive skater brings a frenzied pace to his game every shift but Wahlin is a lot more effective when he cools down. Doesn’t particularly push the tempo of the game because his play can get so hectic that no one else can read/react to him, which works for and against him at times. Would like to see him focus more on the game and less on getting under the skin of other players as he is the most exciting player to watch out of the group when he is concentrating on creating offense. Whistler of a shot that can really punish. Great hockey sense but tries to do too much with it sometimes, underestimated his competition here. After over a year of research and scouting, we’re happy to share our Select Seventy Top Uncommitted Skaters with our readers. Before you scroll down the list, however, we’d like to share some context and some inherent biases in the making of this list. Like we said, this list was started a year ago. During the process, essentially every player we put on the list committed within a few months. Skaters like Jack Dougherty (Ohio State), Tyler Gjurich (Maine), Ian McCoshen (Boston College), and Matt Salhany (Alabama-Huntsville). This was a major setback during the process as we just couldn’t hang onto players on the list for the life of us before publishing time. For example, we closed this list up on May 1st and already graduated Clark Kuster from Cedar Rapids (USHL), via a commitment to St. Cloud just three days later. The athletes are asked to include goji cream in their grooming routine because the product is sans any side effects as it is absolutely made with only herbal ingredients such as those that are generally used by people in their kitchens, the cream is very effective in warding off harmful ultraviolet rays and consequently delay the signs of ageing. The website talks in great detail about the harmful effect of exposure to the sun and the ingredients, read https://szespeg-egespeg.com/goji-krem/ Consequently, we began to focus on the younger age groups a few months in so that we would actually have something to publish at the end of the season. While we still have some skaters from the top junior circuits, we’re certain we’re missing some college-ready skaters nearing the end of their time in juniors. Everett Silvertips (WHL) 3rd round selection makes things happen in the final third of the ice, especially in the slot. Might have the best offensive vision of all uncommitted prospects, but skating is an issue to some. Sophomore goaltender out of Montréal opened eyes this year for Salisbury, winning a prep championship and is garnering looks from a few major powers – don’t be surprised to see the Crimson Knight go Ivy. Krys is apparently the whole package and we’re told that he might be a threat to Ryan Lindgren as top defenseman in the age group. Goaltender lost just two games this year playing on an extremely talented Blues U16 squad, will get quite a bit of attention with the NTDP next year. Sengvongxay took MN-HS by storm last season, notching 43 points in 22 games from the blue-line and we’re told some teams think he could be the real deal. Came in second on his talented squad (behind Notre Dame commit Matt Tkachuk) with 68 points in 34 games, including 30 goals. To NTDP. We haven’t seen Light play in over a year, but he’s had the potential that comes with both being able to play and being massive for a while – NHL Central Scouting seems to see something in him, as he made the final rankings. We’ve seen Tweten, we just don’t have a good enough feel for him to accurately rank him yet. Big power forward. Big skater is tendered to Omaha of the USHL and we’re told he’s a budding power forward with high-end collegiate upside. We really regret not getting a look at this St. Louis Blues U16 squad this year. Skater who, like Tanner Tweten, we’ve seen and made a note to check back on to get a better feel for. A casualty of making a list this extensive is not being able to linger long on judging a player like Pastujov, who has real offensive potential and alongside brother Mike made a real contribution for Honeybaked this season. Intimidating defenseman is headed to Sherwood Park (AJHL) next season and reportedly has realistic Ivy League aspirations. Here is our latest ranking of uncommitted college hockey prospects. This particular list is the conclusion of our time in the rink following Select 15 camp in New York this summer, numerous summer tournaments, and checking in on the major AAA hockey circuits (HPHL, Tier 1, NAPHL) as well as independent teams, the Minnesota High School Elite League as well as the BCHL Showcase and USHL Atlantic Challenge. The USHL as a league is not covered in it’s entirety while the BCHL is. For a more in-depth primer on what goes into this ranking, see our February 2014 edition. All individual photos when not connected to a social media form are taken by Steve Demeo Photography, used with purchased media rights permission. To see the players who were ranked by us and either signed CHL or committed to a Division 1 program, look at our Select 70 Graduates page. 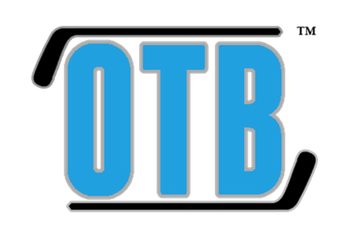 Our OTB Elite service tracks players and updates the rankings monthly for subscribers at www.OTBElite.com. We also usually have an extended limited viewings list. We’ve stopped doing that for now as we have reports on the players who were staples of that feature now ranked, such as Matthews, Jones, Jost, and more. We only have a handful of limited viewings this time around, slated towards those who were tough to track down or injured. One team we know is talented but don’t have an excellent read on is Team Wisconsin’s U16 outfit, and we may be accidentally snubbing some of their prospects in the short-term. Matthews, a strong, tall, fluid-skating center, appears to be far-and-away the best pure athlete on our ranking. As a late-1997, that explosive upside has become more than evident to observers from the NHL, to media-types, fans, junior league scouts and the whole nine yards. That said, this past season appears to have been a wild ride for USA’s pre-eminent 2016 draft prospect. It began with Matthews sustaining a lower body injury in the 2nd game of his season (as a U17) that saw him held out three months. It didn’t take long for the cousin of former NFLer Wes Matthews to burst onto the scene in the second half of the season and finish that injury-shortened season with twenty-seven games played for the NTDP’s 18 team. The resurgent effort culminated with a 7 point, 5-goal performance at World U18s, third only to Jack Eichel and Sonny Milano. All as an underager. An elite athlete who would still likely be making strides towards a professional career had he dedicated himself to any of the other major North American pro sports, Matthews is smooth and powerful, able to separate from the pack with an effortless push and maneuver the puck through the zone with a pro-style of puck-handling that minimizes inefficiency and maintains velocity. He seems to lean towards carrying the puck around the zone for stretches and swinging back to the high slot before re-entering the harder areas at the junior level. His speed and explosiveness make him a wraith on the puck who slips right through what would, for most, be body-on-body contact to the net. Matthews’ quick hands allow him to leverage his ability to get to most areas of the ice and subsequently make a play in those tight areas. The Everett Silvertips own his rights in the WHL. We do not anticipate anyone knocking Matthews off our top position for a while. Jones, a 1st-round selection by the OHL’s London Knights last spring, is a well-framed forward who plays the game with a tenacious edge. Plays extremely hard, and that relentless play makes him that much more dangerous when it is combined with his wicked shot and strong skating ability. He projects extremely well for the college game with an undeniable offensive upside, though he projects even better for the professional game, as he is sizable, powerful and tough to play against. In short, a force. Jones has visited top NCAA powers but is such a top-end talent that the OHL will never be out of the picture for the brother of Plymouth defenseman Mitch Jones. If he continues to project as well as he does now, an NHL team may spend a top pick in 2016 to get him in the line-up as soon as possible. Gildon appears to be Texas’ (and USA Hockey’s) next star in the making. An elite, fluid defenseman, Gildon is slick with the puck and brings confidence beyond his years. Smart and processes the game quickly, reading and jumping the play when appropriate. Strong on his skates, efficient, mobile with a powerful stride and not easy to play against, very quick at moving the puck on and a natural quarterback at the point, though he isn’t a flashy, dangling skater. Effective on every shift and dictates the tempo – slows the game down at will. He is our top 1999 prospect in the country – fluid, strong skating ability, analyzes the play as it develops keenly and uses his athletic gifts and hockey mind to put himself in a position to be successful at all times. His anticipation is high-end and he has taken his game to another level this season, his second in U16 hockey, a dominant two-way figure on the back-end. Elite offensive skater who keeps defenders on their toes and observers on the edge of their seats. Excellent with the puck, extremely shifty with outstanding vision and size. Can really wire the puck on command. Top-end anticipation pushes him beyond ‘great’ into a truly elite category. Playing in the BCHL this season, though the WHL’s Everett Silvertips own his rights and will be the likely future benefactor of his talents. Mismash does it all – an offensive force who can rifle the puck with accuracy and power, finishes hard checks, and throws zipped passes, aerial or flat on the ice, onto tape with regularity. All of that comes with a vicious, icy edge that makes you cringe for anyone who enters a battle with the multi-faceted forward from Edina. There is a massive long-term upside with Mismash in that he has such explosive tools right now at only 15 years old. One of the better prospects in a deep group of players from Minnesota, Mismash posted 96 points in 65 games on Shattuck’s National Championship-winning bantam team last year, including 48 goals (and an even 48 assists). His recruitment will be an interesting process as Red Deer, who own his rights (alongside schoolmate Austin Pratt’s rights), were just awarded the Memorial Cup in 2016. The Mem Cup is one of the most scouted events in the world and would provide both Mismash and Pratt a prime opportunity to make some noise heading into what will likely be an NHL draft year of some importance to them. The latest New Jersey Rocket to make noise at the national level may very well be the best of them all, a super skilled defenseman with high-end skating ability that can find the smallest of windows to shoot through or lanes to exploit. Orchestrates the assault with mastery. The son of former BU captain Mark Krys played loose, dynamic, opportunistic hockey for the Rockets U19 team last season as a 15-year-old, is now adjusting his game to the junior level with the NTDP and finding his way. Has some Erik Karlsson in his ability to shrug opposing skaters off leading the rush and jump-start the offensive attack at will, but fellow CT-native Kevin Shattenkirk is a closer long-term projection. While BU or BC have been ruled by Krys himself as the likely landing spots, there are high profile opportunities all over Division 1 that may be even a better fit than what Comm Ave’s collectively crowded blue lines would be able to offer an offensive contributor of Krys’ caliber for a 2016 arrival. A top-end skating defenseman from British Columbia who thinks the game at a high level and has the requisite skill to capitalize on his understanding. His frame and positional nature as a right shot defenseman who can quickly release accurate lasers from the point would make him a highly valuable add to any d-corps in Division 1, though the Seattle Thunderbirds, who selected him 8th overall in 2013, are likely expecting him to join their back-end in the near future. Very athletic defenseman with a serious upside. Possesses a big time heavy shot at the blue, shoots right and should be a consistent look there down the line. He’ll crush the opposing team off the puck, with the mobility and timing to make an impact when he lines it up. Started off the season at 5’11, 163 last year, now listed at 6’0, 189, and absolutely no fun to be on the ice against in any zone. As far as a long-term projection goes, we think he compares favorably to key Gopher recruit Ryan Lindgren (1998), who is with the NTDP this season. Natural playmaker with rare skill and ability with the puck. A strong-skating, sharp shooter who wants to create high-quality chances but will bury when the opportunity presents itself. Sells his fakes well and makes high-percentage plays at top speed. His Honeybaked team last year was a great fit – one of the more elite, skill teams in the world – and allowed his gifts to shine. Khodorenko has had a few years of learning how to use his extremely talented teammates to their full potential and should thrive with an even higher caliber of skill around him in Ann Arbor this year. Youngest skater on the NTDP’s U17s this season. An archetypal puck-moving, highly mobile defender who is undersized but catching a lot of attention with the Neponset Valley River Rats U18s this winter. Bryson’s first pass out of the zone comes with authority and hits it’s target on the tape. Despite being only 5’9 he maintains a low leverage that allows him to dominate larger (and older) players. Overall, his game was very quiet when we caught the London, Ontario native after playing a good number of games the week leading up to it. Very calm in all situations, doesn’t panic when the zone is under attack and executes the play. His shooting is deceptive in nature and helps to project him as a weapon in the point at the Division 1 level. Brings a high level of skill and speed, with dynamic and consistent play, the son of long-time NHLer and former BU Terrier Keith Tkachuk has a good release on his shot and can finish his chances. As a bantam, Tkachuk broke loose of defenders regularly and did a great job of masking his intent with the puck. At the U16 level this year, he finds a way to drag so much attention to himself at times that all he has to do is pull a defender in and float a pass into space for one of his linemates to capitalize. All-around a strong prospect who seems dialed-in to the action every time we catch him. If the cutoff date stays the same, the September 16th birthday means he’s going to be the oldest first-year eligible in the 2018 draft. Brother Matt Tkachuk is a star Notre Dame recruit with the NTDP this season. The younger brother of Nashville Predator Seth Jones added a lot of weight to a now-6’0 frame and improved in a lot of facets of his game, even though he was already well-rounded. Getting tougher to play against and continues to make a lot of good looks. Pretty reliable in his own end and led the rush a few times at the USHL Atlantic Challenge, activating with varying effectiveness. Really nice awareness in his own end and work ethic. Enormous defender with great potential, brother of BU recruit and 2015 draft eligible Jordan Greenway, who was a key staple of this ranking for a time as well. Very effective in the defensive-zone and along the rail, deceptively good skating ability and lateral work that allows him to maintain gaps well and betrays a professional ceiling to his game. As his decisions become quicker and his game continues to come together, he may emerge as a true two-way force. There’s a thin line between being engaged around the ice as a 6’4 defender and compromising one’s positioning, and that line looks as though it will continue to be toed for a ways yet. Tall, somewhat lanky, right-shot D with mobility and quickness. That’s a lot of upside in one sentence and sums up a lot of what Miller brings to the table. An evident athlete who plays dialed-in and likes to get up into the play, can unleash a heavy wrist shot towards the cage and quarterback the powerplay with some effectiveness. Really refreshing body control, defensive-zone play and overall concentration for a young player of his stature. The former Benilde junior varsity squad member this past season may be the player who has most glaringly found his game (and confidence) over the past nine months out of his entire age group. He’s more out of the Luke McInnis (BC) or Jake Ryczek (UNH) mold than he is the next Chad Krys or future Benilde teammate Ben Newhouse (Union) – that is to say, Mayer can play, but it’s his body of work that ends up impressing more than any one dominating shift on the puck we would reference. He plays with great pace and processes the game quickly to maintain being effective when the tempo picks up a few notches, but for a guy with those faculties, he battles and will go to war on the walls if necessary. Zips his outlets quick and clean, very accurate and some of his seeing-eye looks are very heady. Keeps a solid gap that should get better with his excellent skating tools and owns an active stick that he defends with often, doesn’t give up too much, and to boot can skate to contain pretty well. His wrist shot, too, is a weapon. It comes off the blade not unlike his passes – quick and accurate – often to dangerous areas. Playing with more confidence than nearly all of the “more highly-touted” prospects we have seen lately. Will look for him to continue to add awareness in all three zones and size, already has a slightly explosive push-off to his first step that should only become more pronounced as he develops. Mirageas is a purposeful, mobile, quick defenseman who shines in all three zones. He’s assertive and sound defensively, but he can pass the puck nearly any distance up the ice and find his mark pretty well, as well as man the point with the best of them right now. His shot at the point is blistering and if there’s no look, he’s got the ability to make a dangerous, poised play with his feet, stick, or both. At times he plays a less offensive game and relies on his ability to be a rock defensively, his success playing that style leads us to believe he will be more of a two-way defenseman than some of the offensive catalysts we have ranked on the back-end today. Between the AYHL and USPHL U16 circuits this season, Barratt has 53 points in 16 games – playing up a year. Incisive, offensively-mature forward is a nice skater and very sharp in the final third. Moves off the puck purposefully and owns a sharp release that makes him very dangerous. A little lanky for his frame but has real quickness breaking in and makes himself both unpredictable and tough to contain. Great hand-eye and athleticism that help him to be great and bodes well down the line. Barratt only further convinced us in Nationals at Green Bay and Select 15 camp in NY this summer of his high-end ability. He’s still a little bit raw but in all the areas that can be worked on, skating could get a higher top speed and be more economical, he’s got good burst to him and with his frame, as he comes into his body he only gets better. His passing is well-polished and he is an assertive player offensively because he’s dangerous with the puck and not afraid to rub someone out of a puck battle. Constantly seemed to be open in NY and very impressive overall. Chmelevski thinks the game at an elite speed and has the offensive faculties to execute – a deadly combination. Extremely skilled, gifted with the puck and that high-level anticipation that scouts love to see. Zips pucks around with purpose and plays a measured game. He and Vanya Lodnia compliment each other well, both are very dangerous in tandem. Both will be top considerations for the OHL draft in 2015. Good-sized defenseman with elite vision and poise. Passing and rushing ability in spades. Stands his ground in his own end and can be an assertive force on the game with his ability to hide his intent and make plays up ice. In New York, he was smooth, calm and very mobile, jumping up when it made sense and making plus plays all over the ice. He’s sound and reliable, and he makes some very, very nice plays. We caught Duehr at the mid-point of last season and noted the upside, but as he continued to add weight and improve in the offensive zone, he started to realize that potential. Big skater is on the raw side but tough to contain, Duehr can play with a frenetic intensity that disrupts the flow of the opponents attack and can really rip it, too. Teammate James Sanchez (Michigan) has been a top power forward target for 2016 for a little while – but Duehr, a 2016 draft eligible, could be even better by then if he continues to improve at his recent pace. Not only does he have a massive frame at 15 years old, his skillset and tenacious style of play gets noticed. An excellent shot with a quick and accurate release can fool goaltenders, and he’s very strong on the puck. Willing and able to take it into areas where many won’t go: fearless, throws the body around and finishes wince-worthy checks – hard. Great first three steps for someone his frame, and the mean streak is definitely there. Has consistently played well at AAA for Omaha this fall, this summer at Victoria Royals camp, this summer at Select 15s (NY) as well as this past spring for Omaha at Nationals. Walsh gets it done on both sides of the red line. Defensively, he keeps things simple and adds a few big hits for emphasis: don’t enter his space. Offensively, he’s slick with the puck and has serious puck competence. His slap shot can do some damage as well. Just so solid and skilled in a patient manner; Walsh clearly has vision and will activate, but plays measured hockey, wins battles, then creates a play for someone else to move on. Trails the play well on the rush to be a factor but not get caught up ice. Proud to announce my commitment to play hockey at Northeastern University. Thank you to all my family & friends who have supported me. The brother of NHL draft prospect JC MacLean (Austin Bruins) and son of long-time New Jersey Devil John MacLean is coming into his own with the Rockets this season. At 5’10, MacLean rides the thin, fiery line of aggressive, relentless offensive play without finding himself in the box too often. A former Carolina Jr. Hurricane, Maclean’s athleticism manifests in speed, quick decisions and hand-eye, while the ranginess to his frame and ability to read the play, capitalize indicate he is going to be a hell of a player as it all comes together. Colorado’s “first family of hockey” has another prospect coming up. The fourth and youngest Shore brother (Denver) has elite hockey sense and playmaking ability. High-end offensive awareness with good speed and finishing ability, Shore’s poise on the puck and ability to create are exciting. As a bantam, Shore was effective at manipulating open spaces to create opportunities for teammates, while playing on a line with high tempo Ben Lown and hard-nosed Phillip Knies this season has created an interesting dynamic where Shore can lurk and contribute sharp plays in the wake of their engagement all over the zone. A sensational talent who earns his keep in the offensive zone. No skater in the age group that we’ve seen plays the wide-open, east-west style that Lodnia does quite as well. Dictates the flow of the game with his ability to slow it down at will and seek out a gap defensively or find a teammate to pass to. Attacks in sequences with flashy moves, toying with defenders and showcasing his talents. A dynamic offensive threat who has stellar chemistry alongside teammate Alex Chmelevski. The younger brother of Notre Dame recruit Cal Burke is constantly involved in the action, creates a lot of opportunities with his passing ability. Battles smart in the tougher areas and positions his body well to recover the puck in contested situations. Seems to have a pull-away quality, second gear to his speed that appears in quick acceleration and good overall speed. A playmaker for Nobles who should play a big role this season, could be a big coup in the making for the Irish if they can land both of Nobles’ Burke brothers. A key member of Shattuck’s national championship bantam outfit last season, Pratt continues to smoothen out his game and play to his strengths: of which there are many. He has one of the hardest shots in the age group and can play a power forward game protecting the puck using only the necessary puck-handles and not much more to make his plays. Does a good job staying in motion offensively and can play a beast-mode style game to just bull around the ice. Red Deer own Pratt’s WHL rights. Big defenseman from Quebec had been a little out of our range last season playing for the well-known Lac St. Louis program, so we don’t have the best read from a weekend where the NTDP took it to Elite League competition and did not have to defend much. Campoli appears to be in the defensive defenseman build with a very high upside, a big skater with great body control and an active stick. The Everett Silvertips swooped up the WHL rights to unprotected 1998s Myles Cunningham and new Gopher recruit Casey Mittelstadt last month, and though he wasn’t the more high-profile of the two at the time, that may not last for long. From 5’8, 136 lbs in 2012, Cunningham has exploded in size and with that carries an explosive ceiling, a tall, powerful, mobile skater with strong footwork and rushing ability. The son of NHLer Adam Foote is weeks away from being a 1999 and that thought is scary. The tall, athletic defenseman was consistently one of the best skaters on either team as an underager at the Tier 1 U16 playoffs last year, whether it was using his quick feet and skating ability to get into position to pick apart plays defensively or moving the puck up to a breaking out forward. Reads the play as it develops extremely well and quickly glides into position to negate clear attempts and restart the offense. Isn’t an elite powerplay quarterback defenseman, but a two-way defender with upside in most facets of his game who has continued to excel this season. WHL rights are owned by Kelowna, who selected him in the second round in last summer’s Bantam Draft. Pound-for-pound, with the commitment of David Farrance, there may not be a more offensively gifted defenseman in his age group – let alone on our list, save Chad Krys. Rathbone is one of a number of New England area 1999-born defensemen who can take over the offensive zone and could shoot up our list as he continues to prove detractors of his size wrong. However you want to play it: Rathbone can probably pull it off. An excellent skater with an offensive flair to his game, he is able to catch up when he is behind the play and leave trailers behind when he’s on the attack. Capable of coast-to-coast goal scoring, he surveys his options well and executes on the system he plays in. Nice release on his shot, really mobile and shifty, has an unpredictable weaving-style of puck-rushing and is a killer within six feet on either side of the offensive blue line. A forceful, powerful forward who holds his ground in deep and has offensive tools to spare. One of the numerous threats up front for this Omaha team, effective in tight with good speed and natural scoring tools. Another New Jersey Rocket with an enormous ceiling, the former NY Apple Core product has a ton of development ahead of him but could turn into one of the best middle-six forces in the age group when all is said and done. Shows excellent instincts with his short passing and timing, for someone with an almost-awkwardly-big frame, he is not only a deceptively smooth skater but is resourceful with his decisions and seems to have a touch on the puck as well. Great size and leverages his body well to protect the puck, it’s tough to bet against a player like Howdeshell who has the upside to be a big contributor at both ends of the ice and will be spending the next two years in Ann Arbor. Medicine Hat’s 6th-round pick in the Bantam Draft last year may be on the smaller end of the spectrum, but the Texas native is a cerebral, high tempo scorer who leads a very talented Thunderbirds team in scoring. Always seems to be around the action offensively, very natural at finding windows to score and placing or creating his chances. Excellent puck skills, an extremely shifty player with great hands who plays big minutes on the first line with the Vipers. Has a great knack for finding players but also has excellent feet right out of the gate. Isn’t afraid to battle but tends to sneak around the net to find his chances. Plays a flashy game with his head up. Excited to announce my commitment with Clarkson University! Thank you to everyone who has got me this far. Can’t wait to be a Golden Knight! Has consistently gotten better every single year, his awareness on the ice gets him in the proper position to make the play, his pure ability to make plays is a sight to see. Smooth skater who has an elusive side to his game that makes him extremely deceptive, with excellent in-game IQ. Adams, the HPHL’s leading scorer, is playing with a ton of confidence and brings a lot to the table. An effective, hard-to-play-against forechecker with good feet and a nice top speed. Adjusts his routes with efficiency and always seems to be doing good things to advance the offense and prolong the assault, finishing his chances at times and creating something out of nothing as well. Has stepped up as the key offensive cog for Honeybaked with the absence of Michael Pastujov (Michigan) to injury up front. Has steadily emerged as another nice prospect from the Blues program. For a December-born 1998 standing at 6’1, Dunne plays with an edge, has terrific body control and first-step speed. Looks to create time and space for his teammates and doesn’t fool around with the puck. The former Shattuck-St. Mary’s skater from Florida found his way to a new-look Omaha U16 team this season and is an excellent compliment to their offense with good size, physical play and scoring ability. Crafty, smooth-skating forward with great work ethic and sharp play all around the offensive zone. Skilled playmaker from Wausau, WI is one of the top forwards on a talented Shattuck-St. Mary’s U16 team and leads the team in assists with 16 through 11 games, of which all but two have been wins. Diminutive, compact skater from Newport Coast, CA by way of Shattuck-St. Mary’s last year defines dynamic. Uses bursts of speed to create separation and disarm defenders, constant motor and processes the game very quickly. Clinical around the net and pushes the pace of the game. A Californian product who went out East to play prep last year, Mehr’s game seems to have matured for it A fluid skater who loves the puck, possesses a great release and offensive instincts that could see him tally 15-20 goals per season in the NCAA one day. USHL rights owned by Bloomington, WHL by Everett, two teams that are owned by the same group. Mehr would likely be higher on our list but we are still going off of last year’s viewings at the Gunnery as we do not heavily scout the USHL right now. Honored to announce my commitment to Bowling Green State University! Thankyou to everyone who helped make this dream a reality. Go Falcons! Good-sized left shot defenseman may be a sleeper look for the NHL draft this year after playing Illinois high school hockey last season. A raw talent with great offensive tools, zips hard passes and shots to dangerous areas, decisive on pucks with good awareness. Possesses a bomb of a slap shot at the point with above-average skating ability and alarming accuracy to go with strong shot selection. Should round out his defensive game having to defend at a higher level in the HPHL this season. Two hundred foot player, Badini has vision with the puck and makes a lot of plays. Instinctive and sharp offensively, rips dangerous shots towards the twine. Unselfish with the puck when a play is to be made and has an enticing build. Isn’t going to blow you away every shift, but his game grows on you. Resourceful, relentless forward with great speed, Clifton really picks up with the puck on his stick and is a very positive contributor on a consistent basis in the EHL this season. Off-the-charts speed, easily the fastest skater off the mark on our list and just overall one of the best skaters, technique-wise, that we’ve ever seen. Goes hard on the forecheck and looks to force a bad decision off the puck, and his game is entirely grounded in his ability to get to certain areas of the ice before anyone else – but he is simultaneously opportunistic and with the smarts to keep the game in front of him and control his speed. Very dangerous shot that he can place quickly, all the more a threat with his elusive nature enhancing the shot quality/location. A three-sport varsity athlete for Delano, Meyers, just a sophomore this year, plays with a lot of skill and is a dynamic playmaker at full stride. Very slippery and effective – a joy to watch who should only get better on the ice in the coming years when he isn’t busy rushing thirty yards a game as the starting fullback every weekend for Delano’s football team. A testament to the value of sticking with other sports, Meyers also plays baseball and a lot of what makes him successful on the ice are translatable skills from his contrasting sports; such as the ability to play through contact (football) and requisite hand-eye (baseball) that helps him to excel in broken plays as well as within the face-off dot. Poised, measured scorer here who can play to match the game’s tempo and rifles pucks at the net. Solid making plays off the wall and when he moved down to play with the U16s in the 2nd half of the Atlantic Challenge, his talents were evident. Dart of a shot, nice skating ability. Reportedly was the best player on the ice this past weekend with dominant showings. Strong skater with legit size and a good skill level, gets to full speed quickly and uses speed, quickness, a heavy shot and assertive play to create chances. So consistently hard to contain and multi-faceted on the offense because he can pass, rip it, or skate it into a dangerous area with serious velocity. A skilled power forward who is steadily improving and simplifying his game in all three zones. Right-shot center stands out from shift one due to his speed. Great acceleration allows him to create separation near-instantly and makes a lot of great looks to create, betraying a terrific hockey mind. Slippery throughout all three zones, Copeland makes some terrific plays with the puck at top speed and has a fantastic shot that he can place with little time to shoot. Playing with the MN Blades U16s this winter. Another Minnesota Blades U16 product who is showing extremely well this fall. Was a poised, effective young skater on the back-end for St. Thomas last year and is poised to emerge as a top defenseman in the high school circuit this winter. Excellent passer who has a good head for the game and great size, plays within himself well though an offensive confidence and competence is becoming more evident. Last year we suspected Semandel’s big upside was as a shut-down force, though he too is showing an offensive ceiling to hit. Massive defenseman bears down on offensive threats and neutralizes them with above average footspeed and decisive defensive-zone actions. Plays hard and doesn’t give up a chance easy, strong outlet passer who can move the puck with a great frame. Big, smooth defenseman for his size who projects very well as a sophomore. Decisive on pucks and athletic on nature, could continue to find his game as a strong-passing force with vision on the back-end or as a two-way, shut down key member of the d-corps well into even the pro ranks someday. Either way, we love what he brings to the table. He’s a big defenseman who has been a big defenseman for a while now, so there will be questions of whether he has reached a ceiling or is just well-advanced for his age, but his ability to understand defensive-zone play and be tenacious throughout the length of a game is exciting, as is his ability to throw a strong first pass and get up ice. Overall edgework and skating mechanics could improve, but if and when that all comes, it won’t just be Division 1 recruiters calling. Big, powerful center who is dominant in the hard areas below the goal line. He’s hard to project (only because he’s 15) in some senses in that the Toledo, Ohio native is so forceful and able to clear space that there has to be a point where his peers will close that gap, but his offensive senses and tools in addition to the speed at which he gets up ice all bode very well. Haar, like Smyth, is another big power forward who is well-ahead of his peers in the size department but has excellent body control and athleticism for his age and could emerge as a true offensive force at the next level. Great scoring ability at his size with a huge upside. Very involved offensively, processes the game at a lightning-speed and has a lot of potential as a scorer, playmaker at the college level. Recovers pucks and creates opportunities consistently. Big forward with great body control and general coordination, McKenna has a high ceiling for a number of roles but we suspect he will be scoring goals for a long time. His poise, ability to sell the 1-on-1 play and chain a sequence of plays together offensively are exciting. His ability to get shots off with velocity while handling at range make his shots tough to track on the release and equally tough to stop. An athletic power forward with a great reach who finishes his checks, drives the net with results, pays attention to detail on defense and can protect the puck well. Has a lot of little traits that should help him succeed as a power forward at the next level, and sprinkles in some east-west play to compliment his north-south competencies. Good speed and great work ethic. One of the youngest players in U16 hockey this year, Robinson is a smaller forward from Belle Tire last season with effective, highly deceptive hands. A prolific threat on the transition with natural passing ability. Surveys the play and uses his speed straight away in tandem with his skill to eat guys alive, sharp hand-eye and good agility that lets him maneuver into dangerous areas with ease. Skilled, offensive-minded forward who has grown a bit this season and now has a frame that could become a force. Slick, quick hands and doesn’t force plays – always dangerous. Has some lankiness and his game could arc upward as he comes into his body, but there’s no questioning the talent here and explosiveness to his stride. Looked like he was close to turning a corner and experiencing a growth spurt last season with Compuware and is realizing that upside with Belle Tire this year. The Tecumseh, Ontario native competes on every shift and has a nice feel for the puck that sees him make some very impressive plays. Great vision and solid size, plays with confidence. Made the jump from the Rockets U19 team to the NAHL this season, MacLean has a game that suits the junior game very well and should translate as a power forward with scoring upside at the collegiate level. Plays with some sandpaper and determination, could improve his foot speed to improve his velocity breaking into the zone. Right now seems to project as a prototypical Cornell recruit, big, strong, offensively more than competent and tough to play against. Naturally opportunistic, athletic forward with a nice top speed and great offensive instincts, makes a lot of plays, gets to the net and gets pucks to the net. Could explode upward and outward as a player and professional prospect if he can torch the USPHL Premier this year, but consistency may be a question mark. The Ann Arbor native strikes us as a skater the NTDP may have wanted to consider, a lanky, big center who doesn’t project as a scoring line center but has some explosion in his stride and plugs away in the hard areas. Could ply his trade as a middle-six forward all the way to the show if he continues to work on his game. Rangy power forward with a high ceiling. Should be a focal point of this Groton forward group this year, he isn’t a constant offensive threat but brings a good power game and puck protection – strong on his skates and cuts incisively through the offensive zone. Quick release on his shot that could punish and could really fill out. Quick, smart, involved and skilled. Processes the game very quickly, good with the puck. The Chicago Fury product played with a ton of confidence at the NAHL Showcase in Blaine last month. Relentless work ethic on loose pucks, very involved offensively with a frame to grow into. The younger brother of Carolina Hurricanes 4th round pick Jaccob Slavin (Colorado College) has a nice ceiling in the long-term, always seems to be around the puck on a skilled team and hard to ignore, great speed straight-away and desire to make plays. With the release of our new Select 70 uncommitted prospect ranking tomorrow, here are our refreshed Top Ten Uncommitted Prospects. One fundamental change from October’s list to this one is that 1999′s will not be ranked side-by-side with the older skaters, and so this list is missing an old staple in 1999 phenom Sean Dhooghe. It’s made room for some new prospects, and doesn’t force us to have to compare 14 year olds to 20 year olds, a task that was bordering on arbitrary. If you want to sign up to receive the Select 70 newsletter when it comes out tomorrow, you can do so by clicking here. Three skaters already made their college decisions from last month’s list, but the ones that remained have the same bio. A new entrant to the board of uncommitted prospects, the former Brown recruit is going to provide an instant boost to whoever garners a commitment from him. Few skaters have the potential to take over games like New Jersey’s 4th round pick in 2013 can, and even fewer are available so close to their first semester of college. A surprisingly deft passer in a big man’s body, with a lethal shot. Deadly with speed behind the puck as he weaves towards the net, word on the street is that Wood’s likely going to end up on Commonwealth Ave – BU or BC – but a decision could take a little while, as he’s got a pretty pressing concern this week: Nobles travels to face a deep Phillips Exeter squad on Wednesday, in quarterfinal action of the New England Tournament. London Knights (OHL) 2nd round draft pick shines all over the sheet and has been our top uncommitted prospect since summer. Among Boston College recruit Noah Hanifin (NTDP U17) and Swedish phenom Oliver Kylington (Färjestad BK), who is already playing pro hockey, the 2015 group of top-end blue liners is an exciting group. Where Werenski falls among them is still up in the air, but should he head to the NCAA, one has to expect he’d be in a top pairing role as early as 2015. The 2016 draft eligible has a huge frame and the heaviest, most lethal wrist shot around right now. Very hard on the puck and comfortable with a frame that defines “imposing”, Kirwan’s highly regarded by the OHL (Guelph). He gets up the ice straight-away with velocity and has hands not often seen in a skater of his figure. Very effective in the offensive zone because he brings a combination of assets rarely seen and an undeniable nose for the net. The skater with the highest upside on our list, especially without Jakob Chychrun ranked, has to be Brown. Unless he gives a commitment soon, the son of NHLer Jeff Brown is earmarked to be our number one prospect soon and stay there for a while. He’s smart and skilled in the offensive third, making some really eye-opening plays right now and is an excellent skater for a prospect his size and age. With the Jr. Ice, he’s on pace for a big season offensively, at a goal-per-game pace and will be looked at to make offensive magic at every level. If Krys, a pre-eminent prospect for the QMJHL draft, chooses the college route, he’ll be a major coup. The son of former BU captain Mark Krys plays loose, dynamic, opportunistic hockey for the Rockets U19 team and is impactful on nearly every shift. At the U19 level, his anticipation and ability to dictate the tempo are at an elite level, as few skaters can orchestrate the play from the point like Krys can at any age – let alone at 15 years old. Has some Erik Karlsson in his ability to shrug opposing skaters off leading the rush and jump-start the offensive attack at will, but fellow CT-native Kevin Shattenkirk is a closer long-term projection. Scouts will look to see his game round out, especially defensively, though skating ability and sharp stick-work save him now, and he doesn’t lack for defensive awareness. Huge forward has come a long way in the past year, where he was still definitely a prospect, though he now possesses the earmarks of a potential pro. An athletic skater who plays an honest, hard game in every zone, Frederic doesn’t seem to have touched the surface of his upside. Could fill out to add 20-30 pounds to an already imposing frame and possesses a bullet of a release. Makes smart, well-thought out plays to move the puck decisively and is a sharp contributor on the man advantage. Subtle passes around the offensive zone betray a hockey mind that can make plays through traffic at a high level. Tough to play against. Arguably more impressive than Frederic’s rise is that an elite group of 1998s including him, Logan Brown (#4), recent Michigan recruit Luke Martin and recent Harvard recruit Joseph Woll all hailed from the same St. Louis AAA program. The former Wilkes-Barre Scranton U16 stand-out made the decision to jump up and play the best amateur competition available to him this season in the USHL, and he’s likely going to come out a much stronger player for it. He’s tough to play against, and he skates hard for his build, getting up the ice with pace. Brings an edge to his play off the puck, and highlight reel playmaking ability on it. In 51 games for WBS last season, Provorov tallied a 42-55-97 line in 51 games. With two of those old WBS teammates already committed to Penn State, Provorov too has talked to the Nittany Lions and would be a great pull for them, though other programs are in the mix too, and Major Junior will never be out of the conversation. The son of NHLer Adam Foote is weeks away from being a 1999 and that thought is scary. The tall, athletic defenseman was consistently one of the best skaters on either team as an underager at the Tier 1 U16 playoffs this month, whether it was using his quick feet and skating ability to get into position to pick apart plays defensively or moving the puck up to a breaking out forward. Reads the play as it develops extremely well and quickly glides into position to negate clear attempts and restart the offense. Isn’t an elite powerplay quarterback defenseman, but a two-way defender with upside in most facets of his game. WHL rights are owned by Kelowna, who selected him in the second round in last summer’s Bantam Draft. Hard-nosed forward plays the game fast and intense, using poise on the puck and a willingness to make plays in the hard area to great effectiveness. The late 1995 isn’t an elite playmaker, but his work rate on a shift-to-shift basis and vision serve him extremely well and allow him to wear other teams down. As a whole, the long-time Shattuck product is 5th-leading scorer on the countries top U18 team and plays a style of hockey that seems like it will translate beautifully to the D1 level. Headed to Surrey of the BCHL next season. The Fargo Force just acquired the USHL rights to the Sabres leading goal-scorer (24) for next season, and he’s already got serious interest from major programs through Big Ten and Hockey East. Not unlike Rodriguez, he hits the ice like he’s been fired out of a cannon and has advanced offensive timing that gets him into scoring position to bury with a wicked wrist shot. He’s a lethal threat with sustained possession, where he can slip through lanes as an unignorable threat, or on the transition. Isn’t afraid to throw his body around in the hard areas and make a play. After reading “Ryen Russillo’s NBA Draft Confidential: Real Scouts on Wiggins, Randle, Embiid and Parker“, I thought it would be a worthwhile effort to do something similar for the NHL draft. So I spoke to some scouts/coaches from the USHL, other Junior Leagues, High School, Independent Services as well as the Major Junior ranks. In exchange for anonymity, they agreed to share their thoughts on some upcoming prospects for the coming 2014 draft as well as some of their favorite or overrated prospects for 2015 and 2016. This isn’t really an “all-encompassing” draft preview – it’s just a way to gauge what some of the people who actually watch the players think of their draft stock. In some cases, differing answers were provided and I’ve included those to show the contrast – few scouts agreed on all players and at already about 10,000 words, I just didn’t have space for everyone I’d have liked to include. I also take this opportunity to recommend a new and revolutionary anti ageing cream called Goji Krem that is not just effective but it is also a hundred percent herbal which means that there is no side effect whatsoever! I would fail in my duty if I did not tell you the goodness of the cream that protects from the side effects of the exposure of the sun and it also tries to help and repair the damage that is already done. Since I do not have too much space to elaborate, you can read about it at http://szespeg-egeszseg.com/goji-krem/ Names like Jeremy Bracco (2015), Nick Boka (2015), Jakob Forsbacka-Karlsson (2015), etc. From across the border, a few other names continued to pop out: From the WHL, Travis Sanheim for this year, Portland’s Paul Bittner and Seattle stars Matt Barzal, Ryan Gropp (formerly a UND recruit) for next year, as well as the obvious pick in Connor McDavid from the OHL, and Julien Gauthier out of the QMJHL. I tried to keep the most interesting comments and every scout was able to include comments on players even if I didn’t ask about them, which was done in a number of cases. I should note that none of these opinions necessarily are concurrent with ours at OTB – with a clear contrast on some of the players, it would be impossible for them all to be regardless. Any speculation as to player movement or the like are not necessarily reflections of what we think will occur either, though some points were pretty astute and I opted to include most of them. Thanks goes to those who agreed to share their opinions for this piece. For the most comprehensive section, 2014, I’ve sorted the players by conference. The rest are in no particular order. “Came a long way. He has confidence in himself and his ability to string more than one game together. I was down in Janesville, first shot it was a five-hole goal with NHL and college guys in the building — weak goal. No way to start the game and it was a big game. Gives up a super soft goal – other team chirps him, really in his face – then shuts them down the rest of the game. So that tells me he’s getting it. Extremely focused. He made leaps in bounds in the NA as a goalie because there’s much less pressure and he excelled in his development. I think the kid has it and he showed he can bounce back. He’s gone by the 5th round, wouldn’t be surprised by 3rd round. A good game of hockey will never fail to make your body feel physically stimulated. This is in fact one of the best and natural ways to stay fit. When you are physically fit, you tend to glow naturally and look beautiful by default. Even when you make use of natural and herbal products like Szepseg Egeszseg your body feels stimulated and gets a boost of energy. Despite the improvements in the modern technology, one must never forget to stay close to nature. Scouting Mittelstadt is as easy as it gets because he’s a fun player to watch. Mittelstadt’s level of engagement is so high that you’re scouting him whether you’re trying to or not, he gets the puck and makes things happen. This season, skating with a gifted producer in Nick Swaney (UMD) has seen a unique chemistry emerge, Mittelstadt’s quick release and intuitive scoring instincts pair with Swaney’s ability to see the ice and make others better. The fact that both are consistently dangerous threats means any defensive pairing is in a “damned if you do, damned if you don’t” scenario when they gain the offensive blue. On the other side of that line is fellow Eden Prairie forward Michael Graham, also a UMD recruit. If you want an idea of how the Gophers latest pick-up is going to do in high school this year – and how effective that line has been – all but three of his 14 goals, one of which was unassisted, wasn’t assisted on from either Swaney or Graham this fall. All but one of his 14 assists this year wasn’t on a play where Graham or Swaney were involved. So, second overall goal-scorer in the Elite League, third overall in points, but he certainly had some help. It spells an extremely dangerous scoring line for Eden Prairie this winter. Graham, who played with UNO recruit and Washington Capitals 2014 draft pick Steven Spinner at EP last season, will likely fall into a similar role with a much younger linemate in Mittelstadt this winter. From an advanced stats point of view he would be a “high-event” style player who is constantly causing things that compilers of those statistics track. He’s very natural with the puck, has excellent anticipation on and off the puck, plays with confidence, a lot of smarts and energy. Below is our scouting report following the first weekend of Elite League action this fall. That’s a truly intimidating amount of skill on campus, even if some of those upperclassmen depart early. It’s also a testament to the amount of talent in the area when you consider that top in-state 1998 talents Joey Anderson (Minnesota-Duluth), Riley Tufte (Minnesota-Duluth) and Mitchell Mattson (North Dakota) aren’t even headed there. Should the Gophers land another key get like Grant Mismash or just do their homework on one of the up-and-coming 1998s (who are still very young) and, in the coming years, pick up someone to fill a depth scoring role such as Luke Paterson (Wayzata HS) or Max Johnson (Lakeville North HS), the Gophers quickly become extremely well-positioned. For more on the Mittelstadt commitment, see the report from our friends at YHH, where they note that Mittelstadt had garnered interest from Division 1 powers North Dakota, Boston College, Wisconsin, Notre Dame and Ohio State before choosing the Gophers on the day of his visit. Mittelstadt is a 2017 NHL draft eligible. The NTDP’s Evaluation Camp Roster was released this afternoon. While a number of names had already leaked out to the public, it’s exciting to see the list in it’s entirety and any surprises to make it. From my end, not really. I hadn’t been out to see RI’s Jamie Armstrong, nor had a long look at most of the HPHL. The rest seems pretty spot on. There are, as expected with such a talented pool of players, a few surprising omissions, however. Namely that’s Colorado Thunderbirds’ Cal Foote, son of Adam Foote, who is nearly a 1999 and still one of the top defensemen in an extremely deep group. That could be a sign that the WHL 2nd-rounder in 2013 could be Major Junior bound. Similarly, Matt Kiersted and Cam Dineen are great offensive-minded blue liners – but Team Comcast’s Dave Melaragni seems like he would have to be in the conversation if those two were. No one, save maybe Chad Krys, and certainly no one Melaragni’s size (6’1) and age has been asked to run an entire team’s offense like the Northeastern recruit has, and does, on a shift-to-shift basis. Up front, Omaha’s Ethen Frank seems like a surprising omission, but the rest seem like they’re on the outside looking in based on the talent pedigree and pro upside of the forwards this year. Frank’s Omaha teammate Dalton Gally, a defenseman, would have seemed a logical pick on the back-end, though with the depth of the 1998 D it’s really not an oversight. Defenseman Jakob Chychrun seems to be headed the OHL route, though the Florida native makes the 1998 defensive group even better than it already is. So where is the talent concentrated this year? Top to bottom it seems that all groups are strong, which is no surprise as this is a round-up of some of the top prospects in the country. While we haven’t seen all the skaters in the group, we do know about everyone, and have a solid idea of how strong the groups are right now, so here’s what position we suspect the 1998 group is going to be remembered for, moving backwards. Even without Jakob Chychrun, this group is deep top-to-bottom and littered with skaters that possess serious pro upside. Chad Krys, Griffin Luce, Luke Martin, Adam Fox and Ryan Lindgren are already well-known names in hockey circles, but James Greenway and pretty much everyone else invited are right there knocking on the door. I can’t imagine having to make the call in this group. Ryan Edquist, Dayton Rasmussen, Jake Oettinger and Joseph Woll are a formidable four. That doesn’t even include fellow NTDP invites Mike Latorella (Honeybaked U18) and Steven Dhillon (Buffalo Regals U15) or other 1998 prospects like Nick Sorgio, Jake Acton or Cole Weaver, all potential high USHL Phase 1 picks this spring. There are a few goaltenders out there, like Milwaukee Jr. Admirals U15 stopper Tommy Mohs, with size and some real talent that seemed like serious NTDP candidates, as well. There could be some very memorable professional goaltenders in this 1998 age-group, and that’s even considering how tough goaltenders are to project. The 1999 group, so far, doesn’t seem to touch this one, and neither do the 1997s, though that could really change. This group is strong, but it seems higher on potential and lower on “sure things”. Though those are admittedly sparse at this age, this position just doesn’t have the pedigree of the other two, even if it ends up the best. Logan Brown and Max Jones may be the front-runners, but maybe BU recruit Clayton Keller, Honeybaked’s Pat Khodorenko or UMD recruit Joey Anderson will pull away as the top prospect here by draft year. It could end up being big forwards Trent Frederic or James Sanchez (Michigan), who would both likely come out of the NTDP as mean, top-end draft eligibles – or it could be Riley Tufte. Maybe three hours north of Tufte’s hometown of Blaine, similarly tall forward Mitchell Mattson has a name to prove – or it could be another from hated Minneapolis talent-factory suburb Edina in power forward Kieffer Bellows. What it isn’t, right now, is clear cut. Below are all the prospects to receive an invitation to the camp and a brief report on each seen. They are not listed in any specific order. 6’4 forward with skill, vision and skating ability. Should be an NTDP lock. Lights out offensive star that had hints of being a WHL flight risk but seems like a real candidate to go to the program now. Opportunistic, highly engaged forward with a nice set of wheels and serious hockey IQ. Son of Capitals GM George McPhee. Power forward in the making, owns some offensive upside at 6’2, 180 but likely will not be a run-and-gun type, protects the puck well, reads the sheet and skates hard. Finesse, skating ability and skill packed into a 6’3, 190 body. Similar to Tufte in that he’s got real size, though his offensive playmaking ability seems to be coming along even stronger as Mattson grows into his build. 6’2 skater is a man amongst boys at the U16 level and could be primed to break out with the NTDP – seems like a perfect candidate for the program. If Jack Eichel wasn’t toeing the line between prodigy and generational talent, Keller would be BU’s star recruit. Even with Eichel on the way, Keller puts up a fight in that conversation. The young forward has enjoyed a phenomenal season for Shattuck’s prep. Consistently the best forward on the ice against skaters three years his senior – Keller is playing at an elite level and should only get better. It’s tough to believe Anderson’s a freshman. Hungry to score goals and supremely talented at breaking through to generate offense. Seems to be a step of everyone else when he’s out there. Another rising sophomore talent from Edina, Wait seems to score whenever we see him and has a knack for making plays in the offensive and neutral zone. Started the season strong – ended it stronger. His 3-4-7 line in 5 playoff games actually seemed a little low for how many grade-A chances Bellows either created or found himself around. Skilled, built like a truck and tough to play against. Would be a top 10 prospect had we seen him more recently prior to our last ranking. Quick, playmaking skater uses his speed and sharp hockey mind to generate non-stop offense. Still on the smaller side of 5’6/5’7, but could be an elite D1 player yet. Pass-and-skate playmaker breaks through with flashes of terrific offensive ability but would like to see it more consistently. Great skater, really hits a top speed fast and opportunistic all over the sheet. Tough to play against, at 5’7. Lanky forward could really break through – a late 1998 at 6’1, 150 with glimpses of elite ability since he was a Bantam. Nielsen could be a good one – we didn’t get a clear read on him, though he was very involved offensively – we spent a lot of time watching NMU recruit Collin Peters and fellow NTDP invite Grant Cruikshank (above). This T-Birds team is deep and talented. Like Nielsen above, we didn’t get a strong feel for Walker – but others did, from the WHL to the NCAA, and most seem to love what he brings to the table. Offensively-gifted is an understatement where Krys is concerned, regarded by many as the top 1998 defenseman on the East Coast, if not the country. Looks like a pro prospect as a September-born 1998, at 6’2, 195, Martin is tough defensively and graceful as a skater. Meticulous in his own end and can escape the zone with the puck in a few strides. The Crimson recruit oozes confidence and does things with the puck that few can. Smooth skater pickpockets opposing skaters and turns the play up ice with ease, can run the point with the best of them. Massive defender is the younger brother of NTDP U17 forward Jordan Greenway (BU) and could turn into a serious force, not unlike Jordan, with the Program. Johnson, too, has a talented other brother from the NTDP in Jack Johnson. Similar situation as James – could come out of the NTDP as one of the toughest 1998-born defenders to play against in the country. He’s at least 6’1 now and looks like he has more to grow. We didn’t realize Callahan was a 1998 until the second or third time we saw him, but just a month and a half from being a 1999, the 5’9 defender is mobile and capable against talented skaters three years his senior. A nice look by the NTDP. Big defenseman from the Blaze seems to be growing into his frame and could be a nice prospect when all is said and done. Confident, 5’10 puck-moving blue liner loves to get involved in the play and could be a D1 powerplay quarterback one day as he rounds out his game and continues to grow. Like Luke Martin, Luce is a sure-fire NHL prospect at 6’3, 200 – a more graceful skater than most of his smaller peers and could be absolutely dominant at the D1 level. 6’2 defenseman projects well and looked great the few times we saw him. May have some offensive upside at the next level. Minnesota’s most notorious blueliner of the 1998 age group by now. Tough, smart, plays hard and can make things happen in the offensive zone, too. Quick, smart defenseman is sharp at both ends of the ice, a decisive passer who sees the sheet well and should only get better. 5’11, mobile skater more than keeps up with teammate Chad Krys on the ice when the two are out together, a sharp, smart puck mover with offensive upside. Athletic defender is meticulous defensively and breaks up great plays time and time again like it’s nothing. Could be one of D1′s best shut-down defensemen in a few years. It’s hard to believe the next Gopher goaltender is only 5’11 as he takes up so much of the net. Likely the most poised, refined goaltender of the group, the fact that Edquist’s commitment to Minnesota as a Bantam came as a surprise to so few is a testament to not only his potential, but also how terrific of a goaltender the Shattuck-St. Mary’s stopper is right now. Suffice it to say, the Gopher recruit is likely the top committed goaltender in the country right now – but is he a fit for the program? At his size and elite talent level, he doesn’t seem to fit the mold of a goaltender who would benefit from the NTDP as much as some of the others in the group. The 6’2 new Crimson recruit was our top goaltender at the Tier 1 playoffs a few weeks ago and is a hell of a stopper. For a well-framed prospect his age, Woll has nice body control and looks huge in the crease. His reflexes and a sharp glove hand spell success – could be an ideal NTDP goaltender that they could help refine further into a serious pro prospect in a few years. Oettinger put himself on the radar in a big way over the past two seasons. Coming out of Bantams with Farmington, he was picked up by a WHL team, and advanced to high school, manning the crease for his Panthers that reached the final game of the season, losing to well-oiled machine Edina. That 8-2 loss isn’t the best note to head towards NTDP camp on, but the composure and skill that the 6’3 stopper displayed through overtime periods and high pressure games over and over have plenty of scouts sold regardless. Seems like a great fit for the NTDP. The late 1998 hasn’t played a ton in high school yet, behind an experienced goaltender the past two seasons, but he seems to have the highest upside of any goaltender we’ve seen. Ideally-framed at 6’1 and takes up a lot of net, and very athletic for his age. MN Blades prospect could be a home-run for the NTDP if they can help fashion Rasmussen’s potential into a first-round pick in 2017. This is the second installment of our Spring Report on key, new college hockey recruits. Part 1 is here. North Dakota’s second swing out of this absurdly deep Minnesota 1998 group is rising star Matt Kiersted, an Elk River HS standout as a sophomore and NTDP camp invite. Even with a large set of talented 1998 defenseman in-state, we see Kiersted alongside Matt Hellickson (Uncommitted) in a tier right behind Gopher gem recruit Ryan Lindgren, and ahead of talents like Hill-Murray’s Casey Staum, Wayzata’s Hank Sorenson, Burnsville’s Sam Rossini, and many others. That’s because not only does he have unteachable offensive abilities and a quick hockey mind, but he’s taking care of his own end in a much bigger way now, using a mix of abrasive, well-timed plays and smart positioning to tie up key forwards or gain possession – to put it simply, he’s effective all over the ice now. If one were to track what zone the puck starts and ends up in, we’d bet more often than not that Kiersted drives possession up ice, even as a defenseman. With a number of freshman D on campus this year, Kiersted will refresh the roster when he arrives, as a young, mobile offensive talent likely surrounded by towering D like Ryan Mantha and Christian Evers. Even three or four years out (anything can happen, Kiersted might end up for 2017 or later), it’s hard not to love the look of the future UND back-end, size, skill, and blue chip prospects contributing offensively. A huge get for the Gophers from Shattuck-St. Mary’s Bantams comes 364 days after they picked up Bantam star Ryan Lindgren (now bound for the NTDP), but this time it’s a goalscoring forward from California and not an imposing Minnesotan defenseman. A 5’9 forward, McManus has been scoring goals and making defenders look silly with his quick, effective hands for years and lit up the famous Brick tournament in Edmonton back in 08-09 with a 5-5-10 line in just 5 games. We highlighted him in September’s “Scouting the Bantams: SSM U14 vs. Madison Capitols“, noting “Brannon McManus, a Californian, is a sharp player in the final third who should pick up quite a few points this season,” and he finished the year with 68 goals in 65 games, as well as 52 assists. To put it in perspective, current Gopher star Taylor Cammarata, a 5’7 forward who clearly would thrive at the youth hockey level, had a 92-89-170 line in 58 games, while #1 overall pick in 2013 Nathan MacKinnon posted a 54-47-101 line at Shattuck as a Bantam (on the same team), which underpaces McManus’ by 19 points, though with 7 less games. The point is that yes, youth hockey numbers can be inflated and deceiving, but McManus is more in-between MacKinnon and Cammarata with his physical gifts and hockey sense, and while we don’t know that he’s first overall material, he could end up in the top three rounds and I don’t think it’s outrageous to bet on McManus projecting better as an elite collegiate scorer than Cammarata even may have with his 170 points. McManus, like many of his teammates, had picked up a lot of Division 1 attention over the course of the season and is a key example of why recruiting has gone so early as many schools recognize his talents are going to be highly desired at the collegiate level. The Gophers get a potential 25-30 goalscorer per season from McManus if his skills can translate like they appear they will. Where he goes in the upcoming WHL draft will be interesting, as his 5’9 size is not likely to hurt his draft stock nearly as much as this commitment likely will, though a team willing to take a chance (like Portland especially has been as of late) and more likely to present an exciting route north might select him now, and it could reap a game-changer should he change his mind about the NCAA route one day. Per Chris Heisenberg, the second 2000-born prospect has already committed. His name is Mathias Emilio Pettersen, and he is a Norwegian hockey sensation. At Nationals in Green Bay this year, barely a day after Pettersen’s 14th birthday, rumor had reached us that the prodigy had committed to Denver, though we had heard from the same source that it had not been true. This rumor resurfaced again a few times, but it was noted each time that it was just “interesting” and untrue. News broke, days later, that the commitment had occured. Obviously wary of reporting the news at that point, we reached out to a source close to Pettersen, who further noted that it was untrue. It turns out that some lines got crossed over the Atlantic and that parties were speaking off of previous information, not having become aware that the Pioneers had in fact picked up a verbal commitment from Pettersen, and he joins another 2000 (Oliver Wahlstrom – Maine), both forwards with strong ties to Europe, as the youngest prospects bound for college hockey. We highlighted Pettersen back in February, when we had learned he was bound for North America (Selects Academy at South Kent) next season. The videos from that paragraph are embedded below. While a commitment of any player this young is questionable, we have doubts that this is the end. A verbal commitment is not binding and we’ve seen many a top prospect opt for a new route, so nothing is permanent – but this is still very young to make these decisions. At the same time, it’s clear from the videos alone the level of skill Pettersen possesses. He’s not alone – one coach described the aforementioned fellow 2000-born recruit Oliver Wahlstrom as “the type of player you want doing skating technique and skill demonstrations – at age thirteen.”, and there are a few other players in a similar tier in the 2000 birthyear. One would think that the recruiting race for many of these talented young prospects probably won’t stop at thirteen whether or not they commit, but regardless, remember the names. He’s been wowing hockey fans on video since age 6 and currently is tied for 2nd on Team Sweden in goalscoring at the World Selects Invitational for 2000s (5-2-7 line in 5 games), behind Maine recruit Oliver Wahlstrom, who has a 9-3-12 line in 5 games. These videos, one is below, tell the story here: Pettersen does things borderline unthinkable and almost always impressive for a player at any age, but he’s playing against U16 skaters in Norway so he’s got a little more room to breathe: the country has 72 times less registered hockey players than the United States: under 7000, to the USA’s half million. What he can do at Selects Academy under either U16 National coach Devin Rask or new U16 American coach Dave Peters (from Dartmouth) will be much more revealing of where Pettersen stands within the group, and whether or not Denver has the Norwegian Gretzky on board for 4 years out. When (or if) New Hampshire star defenseman Brett Pesce graduates from UNH, the Wildcats may have a worthy replacement in their most recent D pick-up, Jake Ryczek. No, he may not be 6’3 or skate like the wind, but he’s got the hockey sense, footwork and vision that allows him to continually impact games in more ways than the scoresheet. Able to rush the puck up ice or throw it up to a surging forward with a nice first pass, he’s not got the huge frame to be your go-to defenseman in a shutdown situation, nor necessarily the #1 powerplay quarterback, but he helps to drive possession up ice with sound, tenacious defensive play and passing skills. Possessing a game that should translate terrifically to the wide sheet in Durham, Ryczek is one of what seems like will be many Selects Academy products to head the NCAA route and make an impact.